Sporting Alert – Live results, updates and information ahead of the 2016 NCAA Mountain Region Championships, hosted by the Utah State University in Logan, UT, on Friday, Nov. 11. First out on the Steve & Dona Reeder Cross Country Course on Friday will be the women and they will race over 6,000-metres with the starting time for this event set for 11:00am Mountain Time (MT) – 1:00pm ET. The men will race over 10,000-metres and hour later and live results will be available. During each event, there will also be live team scores, which will be confirmed at the conclusion of the respective races. The top two teams from the 2016 NCAA Mountain Region Championships will join another 16 squads across the eight other regional meets as automatic qualifiers for the Nov. 19 NCAA National Championships. Defending national women’s champion, the University of New Mexico will look to win one of the auto slots at the nationals, which will take place at the LaVern Gibson Championship Cross Country Course in Terre Haute, Indiana. The No. 6 ranked Lobo women are hunting a ninth successive berth at the national championships, but could find the competition a lot tougher than last year. Lobo head coach Joe Franklin had the luxury of having his runners take their foot off the gas last year and still finished second, but a little more energy might be required to fend off No. 1 Colorado, No. 18 BYU, No. 20 Utah and the No. 29 Air Force this year. Franklin would be delighted to come away with the team championship, but remains fixed that the NCAA Mountain Region Championships is only a trial for the big stage. “This race is the trial to make it to the final,” Franklin said on the Lobo website. “Whether you win this race or not is, at some level, irrelevant. The 2016 NCAA Mountain Region Championships field is also very deep on the men’s side, as the top three teams in the country will lock horns. No. 1 Northern Arizona will start as the favourite for the male title, but is expected to face very strong competitions from No. 2 Colorado and No. 3 BYU who are all capable of winning on their day. “I want our men to run the style of race that allows them to give their best effort while not worrying too much about what’s going on around them,” said Lumberjacks Director of Cross Country Eric Heins. Besides the top three, No. 15 UTEP, No. 19 Colorado State and No. 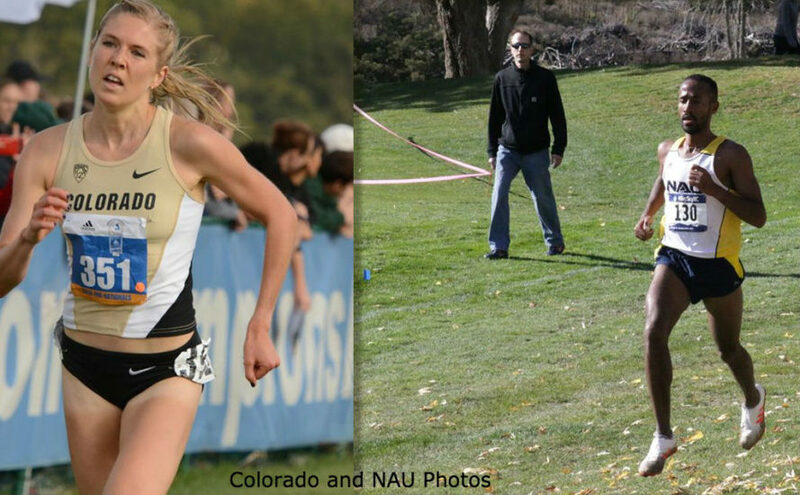 24 Southern Utah will also lineup on the Steve & Dona Reeder Cross Country Course on Friday.